A One Day, Practical, Hands-On Workshop in Singapore! Using Facebook for Business is a key strategy to build relationships, And using Smart techniques to bring people together through the Internet for profit. SDF Funding is available to Singapore Companies (For company sponsored candidates). Call +65 6296-2995 for Details. 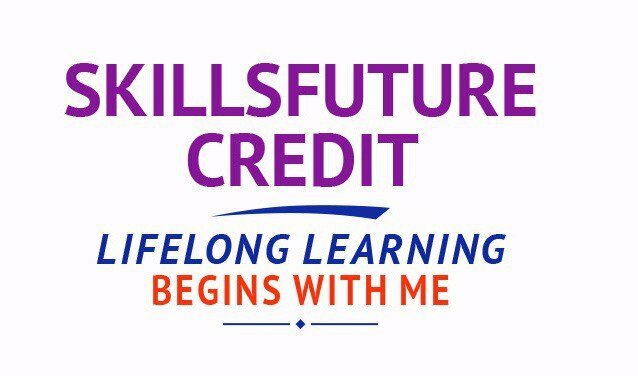 This course is Skills Future credits ready for Singaporeans. There’s more to Facebook marketing than just setting up a page for your business… Have you figured out these questions? How can you make sure your Facebook marketing campaign is on target from the start? How do you determine who your Facebook audience is, as well as what they want, need, and expect from your Facebook presence? How do you grow your audience, and connect successfully with interested prospects? What online tools, applications, and plug-ins should you use? We’ll help you create a successful Facebook marketing presence in just one information-packed day of training! In one exciting, fast-paced, and power packed day, you’ll learn the benefits of setting up a Facebook page for your business. You’ll be introduced to Facebook’s many tools, features, and applications that help you build a constant stream of relevant, updated content. You’ll discover the best ways to interact with customers and visitors through Facebook, and get started building a personal and professional “friend” network to get your business as much positive online exposure as possible. You’ll also find out how to generate buzz and consumer interest through Facebook promotions, events, contests, and polls. Using Facebook as part of your overall marketing strategy makes smart business sense: it’s cost-effective, responsive, measurable, and puts you in direct contact with targeted consumers and prospects. Thousands of businesses use Facebook to drive traffic to their websites, generate interest in products and services, and connect online with their customers. Join the Facebook business community and take full advantage of this exciting resource! Facebook demographics: who’s on Facebook? What are people currently posting about your business online? What do they want to do when they visit your site … but can’t? Who is your target market and where are they located within the Facebook community? What do visitors want to do on your site … but can’t? Are you searching for new markets and methods to reach them? Do you want to strengthen your organization’s brand image? Do you specific products and services you wish to market a group of specific consumers? Are you hoping to drive more consumer traffic to your business website? Could a stronger Web presence earn greater recognition for your organization? Define your internal policy for content, and develop procedures for who, when, and what is posted publicly. Learn which types of content can put you at legal risk for liability. Register for the 1 Day of DIY Facebook Marketing For Business Training today by simply clicking on the chosen course date available at the top of this page. Submit an online enquiry if you have any questions regarding DIY Facebook Marketing For Business training. We also offer Corporate Trainings for DIY Facebook Marketing For Business Skills Training. If you have a group of people, we can arrange to conduct the DIY Facebook Marketing For Business training at your office location too. Just contact us for logistics. Call us at +65 6296-2995 or email to training@intellisoft.com.sg for any questions, or to register for the upcoming class of Facebook Marketing For Business Training.